In less than a decade the major mining towns of the San Juans went from temporary communities of tents and shacks to thriving cities with telephones and electric lights. 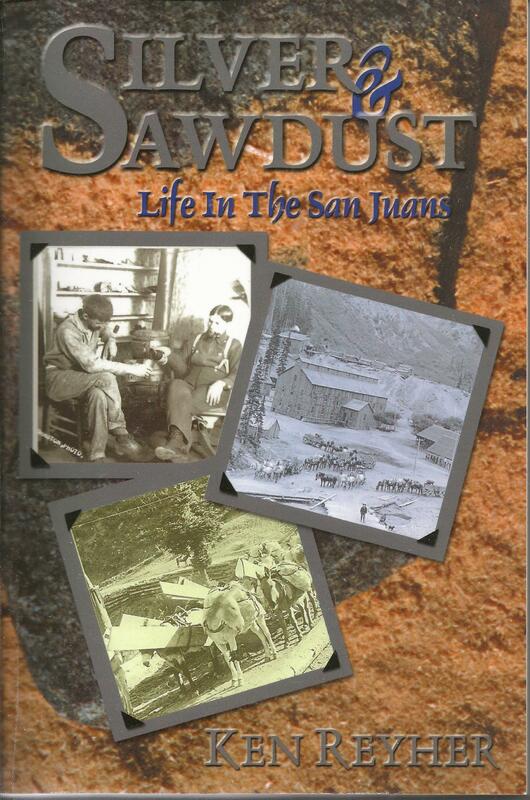 Silver and Sawdust gives the reader an intimate look at the day-to-day lives of the men and women who lived in the booming San Juan mining camps of the late 1880s - the years of a silver boom that many believed would last a hundred years, but which ended abruptly in 1893. These are the stories of ordinary, yet extraordinary, lives. It tells of how they worked, played, raised families, and died in the midst of some of the most awesome scenery in the world during the glory years of San Juan silver. Author Ken Reyher is a former history teacher and crop- dusting pilot. His articles have appeared in several national publications, he writes historical columns for two Western Slope newspapers, and he is a regional poet. Reyher has made several solo hikes along extended portions of pioneer trails using only the tools, food and clothing of a century and a half ago. He lives with his wife Jan outside Olathe, Colorado with their numerous horses and dogs. His first book, Antoine Robidoux and Fort Uncompahgre is also published by Western Reflections Publishing Company.